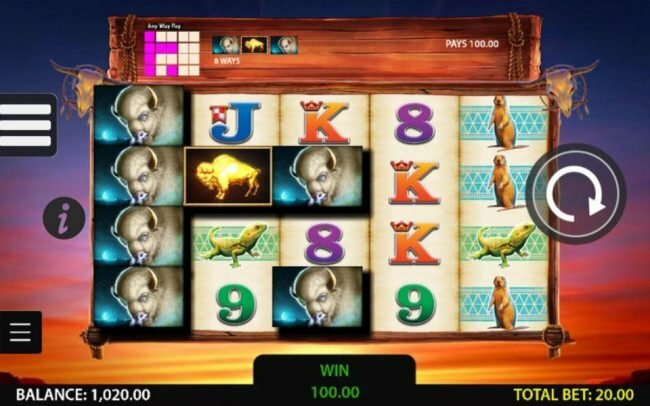 Review of Double Buffalo Spirit online slot produced by WMS developers with 1024 lines and 5 game reels. 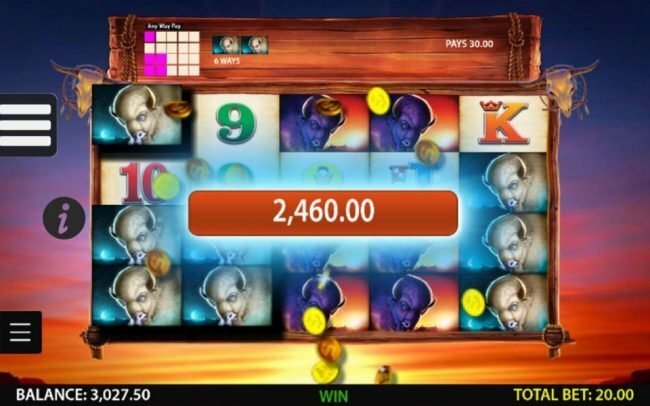 Double Buffalo Spirit Slots has not been reviewed yet, be the first to rate this slot. Double Buffalo Spirit offers an all American Video Slots along with one of the most iconic animals. wms has developed the game with breathtaking graphics and massive winning opportunities to suit every player, while still being highly entertaining. The video slots can be enjoyed with both mobile and instant play options, offering 1,024 ways to win over five reels. 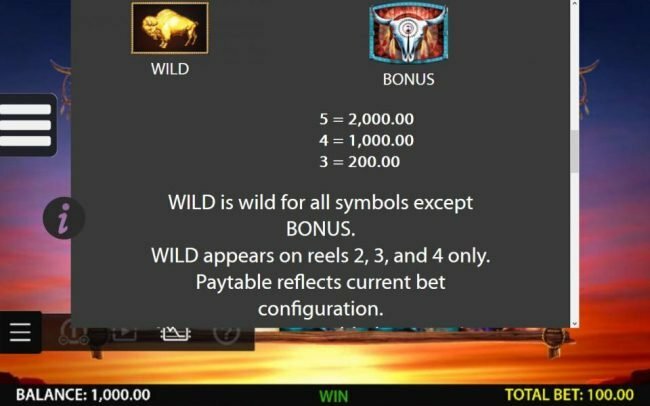 Wild symbols kick off the bonus features, leading down to the scatter symbols that activates Free Spin features with additional multipliers and winning opportunities. The bonus features present amazing rewards, but players will find the main game can also boost your account with rewards up to 10,000 coins for a single combination. In the baccarat the game a beautiful sunset can be enjoyed while the reels spin right in the centre of your screen. The blue skies and yellow sun fuse together above the mountains and quiet land, which is perfect for any Buffalo. When the free spin feature is triggered, the background changes tonight and a sky full of sparkling stars and dark blue skies can be expected. A clean theme is presented with all the menu options offered in a single tab on the left hand side. Quick settings are still available as the layout of this menu is easy to use and offers all the options players require. The symbols include various animals including the Buffalo of course along with high card symbols to increase winnings. The number of ways to win cannot be decreased and will require a wager of at least 40 coins per spin. Players can choose the value of these coins ranging from $0.01 up to $2.50 per coin. This allows a total wager ranging from $0.40 up to $100 per spin, which presents different payouts as your winnings are multiplied by the value selected. Wild symbols appear on a regular basis and could be seen more than most other symbols in the game. These can appear on reels two, three and four where they have the ability to replicate standard symbols to offer more rewards. Only bonus symbols are excluded from the wild feature, meaning that cannot use the wild to represent their symbols. The free spin feature requires three or more scatters to appear simultaneously. Since these are scatter symbols no specific order will be required. Up to 20 free games will be rewarded each time the feature is triggered. 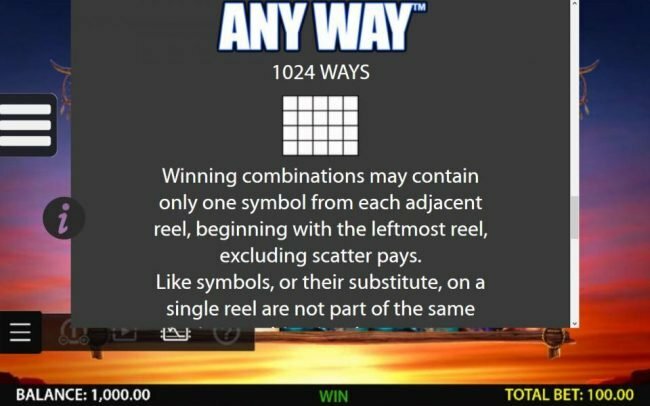 During Free Spins the wild symbols become multipliers that will be revealed once the symbol is in a position to complete a combination. 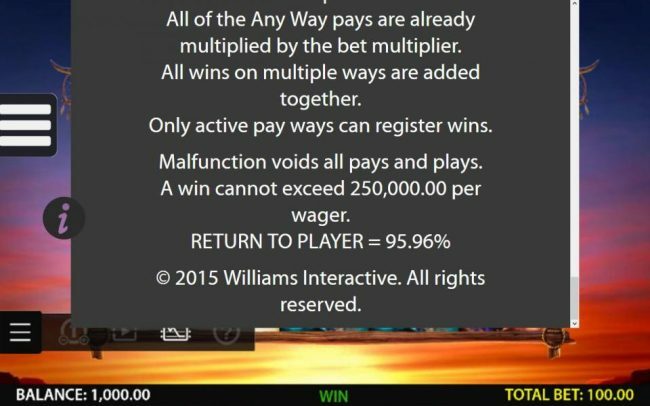 Players can expect the multiplier to either double or triple the combination it represents. 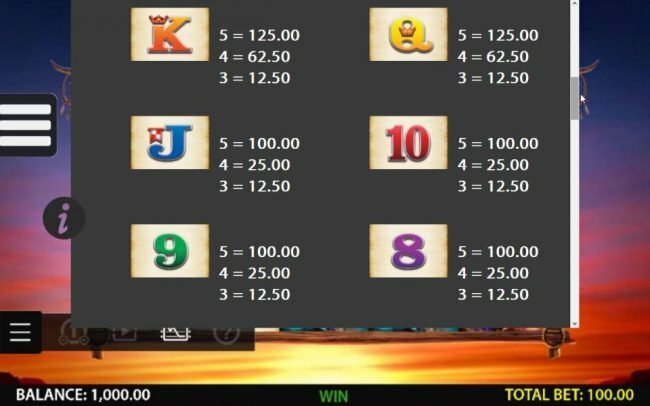 If the free spin feature has not been rewarding, the game automatically provide an additional 10 times your wager amount. Double Buffalo Spirit is easy to play and definitely candy for the eyes. Players are sure to enjoy every spin of this game as the combinations line up and Bonus features become part of your rewards. Wager amounts allow all player types to enjoy the features and winning opportunities the game has to offer.